Beats by Dre have yet to make a pair of headphones that impress us. But how do they fare when they get a chance to boost the power, and try their hand at an actual speaker? 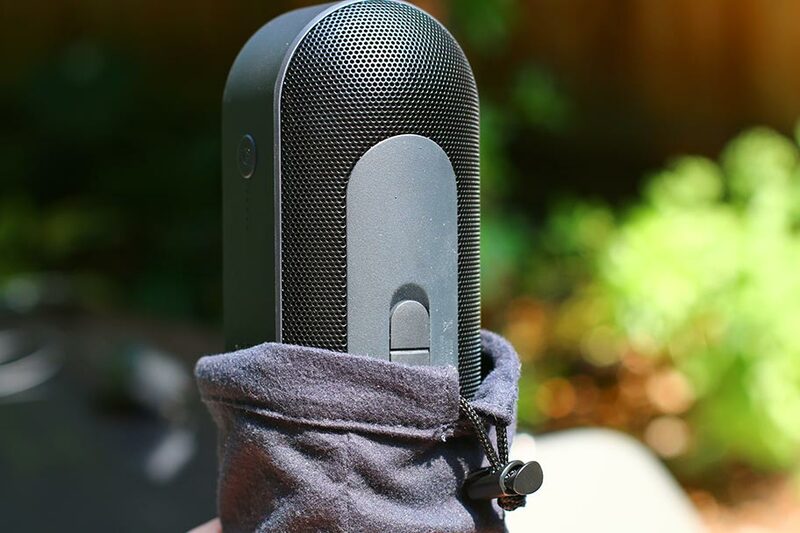 We spent some time with the Beats Pill+ portable bluetooth speaker to find out. 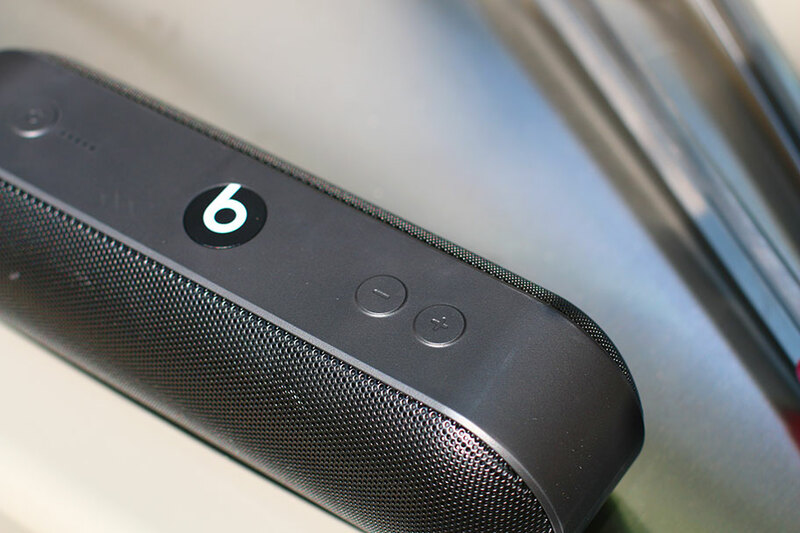 In this review, we break down the sound, design, packaging and accessories, specs and more of the Beats Pill+. To see alternatives, check out our list of the best wireless speakers. When it comes to portable Bluetooth speakers, it's sometimes more important to get good volume than it is to get precise sound quality. While there is no question that the latter is important, it matters less in environments where these speakers are likely to be used: pool parties, beach trips, the park, barbecues. 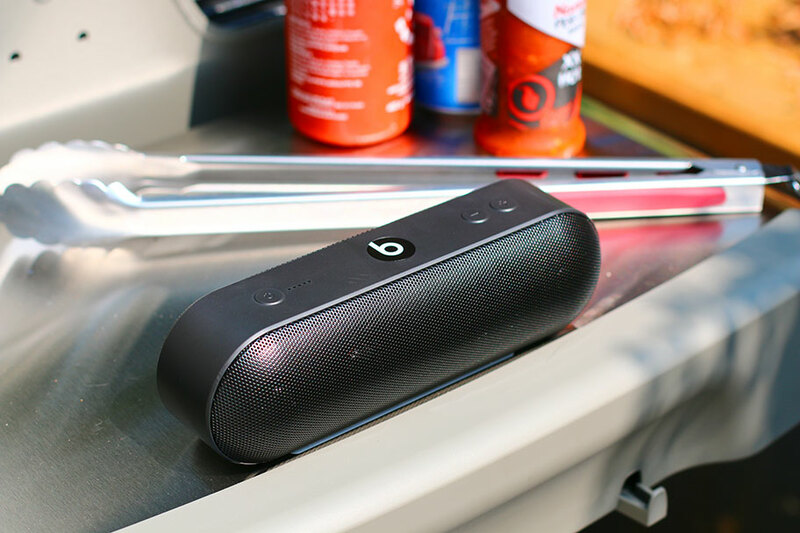 For sheer power output, the Beats Pill+ is where you should go. Beats by Dre don't give out tech specs like wattage, which help you figure out just how much power a speaker has, but we tested this against a couple of other Bluetooth speakers, including the popular Ultimate Ears UE Roll 2 (full review here). It was significantly louder, meaning that it's likely to become a firm favorite at large parties, where it has to compete with a lot of background noise. If all you're looking for is volume, then the Pill+ should be your first port of call - although the UE Roll 2 is $50 cheaper, at $70. One of the problems with high volumes is that they create distortion, particularly in the bass. To some extent, it's a problem that many wireless speakers suffer from – they tend to be slightly cheaper, and you need high-quality components to deal with distortion. Unfortunately, the Pill+ has another problem altogether. There's no distortion here...but that's definitely not a good thing. As the volume is raised, the bass actually gets thinner. We suspect this is down to some fancy signal processing, but the problem is, it doesn't work. Not even a little bit. It just sounds weedy and insubstantial, which is surprising, because at moderate volumes the bass actually isn't bad at all. Not high-end, by any means, but certainly acceptable. Let's compare it to another Ultimate Ears Speaker - UE remain Beats by Dre's biggest competitor here - the UE Boom 2 does a much better job of handling the low-end. If we're being honest, it's actually a much better speaker overall – not only is it cheaper at $118 to the Pill+'s $130, but it offers better waterproofing, a longer battery life, and much better sound. The good news is that the overall sound of the Pill+ is much better than we would have expected. This is largely due to its soundstage, or its ability to make the music appear wider. The drivers have been completely redesigned, with the tweeters repositioned around two large bass drivers. This means it does a much better job at allowing you to pick out individual instruments, and their position in the song. Admittedly, this is probably something you won't appreciate at a backyard barbecue, but it's still a good thing. And if you have more than one speaker, you can actually create multiple pairs using the Beats Pill+ app (iOS/Android). We didn't get to test this particular aspect of the speaker – we only had one to play with - but we did manage to find reports of this feature, and the consensus was that it worked well. We can also report that the app is decent enough, albeit a little simple, and we can imagine the feature working well. There are other pleasing aspects, too. While the sound isn't nearly as accurate or as detailed as something like the Bose Soundlink Mini II, it manages to do a decent job. Elements like vocals and acoustic guitars felt rich and clear, and we felt the crack of symbols and the high-pitched song of strings. You'd never match this against any sort of static speaker, but it's not worth throwing in the trash just yet. If anything, this was the most surprising part of the entire experience – the idea that a Beats by Dre speaker could produce a sound that we actually liked. If you prize audio quality above all else, then this is probably not the speaker to go for – we'd pick something like the aforementioned Soundlink Mini II. It's more expensive, at $180, but the sound quality is much better (although it doesn't get nearly as loud. You can also find it for less money, if you look around. It's always interesting when a company completely redesigns a speaker, and we were curious to see what the changes would be from the original Pill 2.0. It's not just the driver changes we mentioned previously; it's a complete teardown. The Pill 2.0 looked terrible, with its visible drivers and glaring logo. It really does look like a pill – the name may have been clever, but we couldn't look at the speaker without feeling mildly queasy. That's changed here – and definitely for the better. Gone is the strange strip of metal by vacating the two halves. The new Pill+ has a sleek black design, with minimalist controls arranged on a strip that goes all the way around the speaker. It both looks and feels great - although it is slightly heavier than the Pill 2.0, at just over a pound to the original's 11.2oz. The design recalls the now defunct Pill XL model, which actually looked pretty good. Here's hoping that the Pill+ doesn't suffer the same issues that the XL did – that speaker was recalled en masse after it was discovered that the battery could overheat and possibly set things on fire. We may not particularly like Beats by Dre products, but we do have sympathy for their marketing department sometimes. 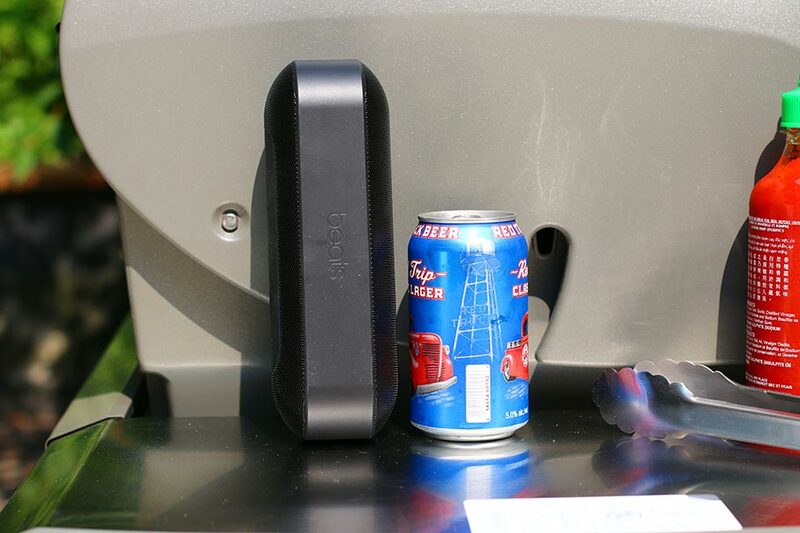 Any portable Bluetooth speaker worth its barbecue lighter fluid has to be able to be set on fire, and keep on playing. OK - maybe that's a bit strong. It doesn't need to survive immolation, necessarily. But the odd fall, or splash of water, shouldn't phase it. In this regard, we're happy to report that the Pill+ performed well. You'll be absolutely stunned to hear that the company doesn't give out the speaker's IP rating, which lets you gauge how water- and dust-resistant it is, but it stood up to some splashes from watering a garden, and survived being dropped in the dirt a couple of times. 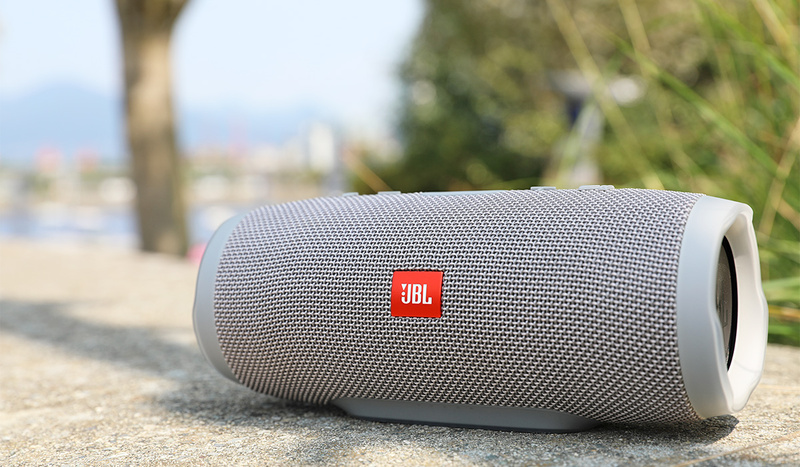 If you're looking for a speaker that is definitively waterproof – or as near as makes no difference – you might want to consider the JBL Flip 4. The sound quality isn't quite as good, but it offers an IPX7 waterproof rating, meaning it can be submerged in three feet of water for 30 minutes. In terms of build quality, the Pill+ definitely satisfies. The buttons are easy to find and press, and the speaker feels robust and solid. Despite being largely made of plastic, it doesn't feel flimsy. And, in terms of value-for-money, it definitely satisfies on the build front. You also get a selection of colors to choose from: white, black, turf-green, asphalt-grey, and - we swear we aren't making this up - PRODUCTred. 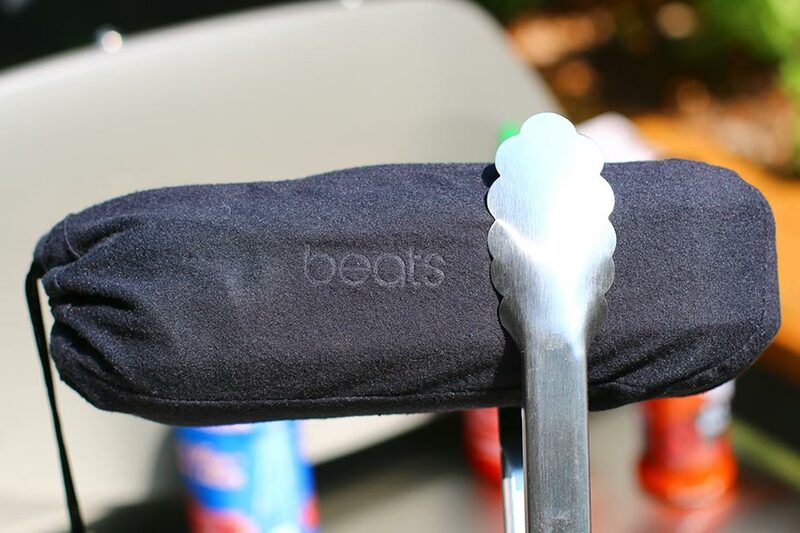 Awful name - but the proceeds go towards fighting HIV-AIDs.Good job, Beats. You may, or may not, know that Beats by Dre were bought by Apple some time ago. 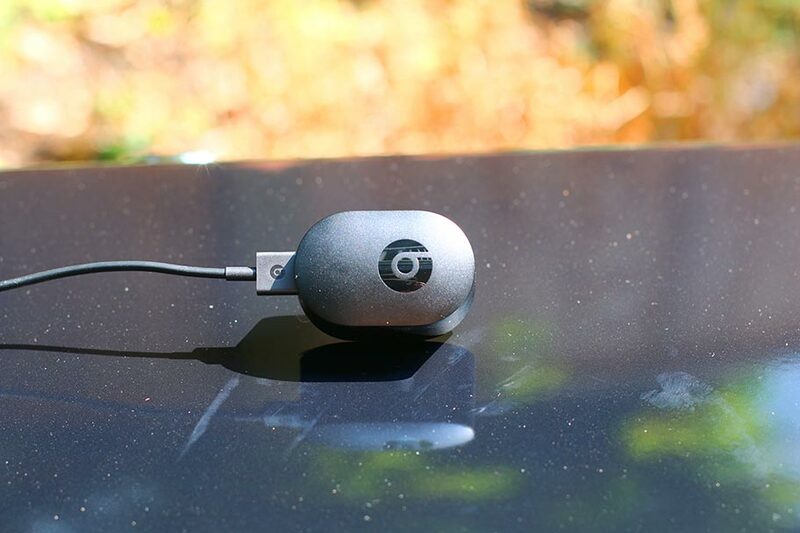 That was a little worrying – it might have meant that all Beats products will only work with Apple products. Happily, that's not the case. The Pill+ may use a Lightning charging port, which is a type of connection exclusive to Apple devices, but it comes with a Lightning charging cable (you can buy another if you lose yours), and a USB port. It's this USB port that provides a particularly clever feature, in that you can actually charge your phone from the speaker's internal battery. With a puny one milliwatt output, it isn't exactly going to give you a ton of extra power, but it's a nice feature nonetheless. Other than that, the controls are simple and easy-to-use. There is a power button and volume controls, all of which are easy to find without looking. There's even a handy battery indicator, that uses lights to tell you at a glance how much power you have left. You also get a 3.5mm aux input on the back, which is a nice little addition. When you're out and about, battery life is as important as volume. We got around 11 hours out of the Pill+, playing at moderate levels. That's actually quite reasonable, compared to other portable speakers available right now. The Bose Soundlink Revolve+ only manages a little more than that, and it retails for over double the price, at $299. In other words, the Pill+ is unlikely to leave you short-changed, as long as you keep an eye on it. It charges quickly, too - after a couple of hours, we were good to go. The Bluetooth signal was good, too, with a range of about 30 feet before experiencing a drop in signal. You're certainly not going to get aptX Bluetooth here – here's an explanation of what that means – but it connected without any trouble, and we didn't feel the sound quality suffered because of the Bluetooth. We may have misgivings about this speaker, but it does get a few things right. Among those are the accessories and the packaging. The box the speaker comes in feels suitably premium, with nicely-designed inserts and compartments. And we really like the accessories – especially the cloth carry pouch. It's not a particularly necessary accessory, not with a speaker that can take a little bit of abuse, but it's nice to have nonetheless. You also get a 4'11" Lightning-to-USB-A charging cable – if you have an Apple phone, then congratulations, you have another cable for when you inevitably lose yours. 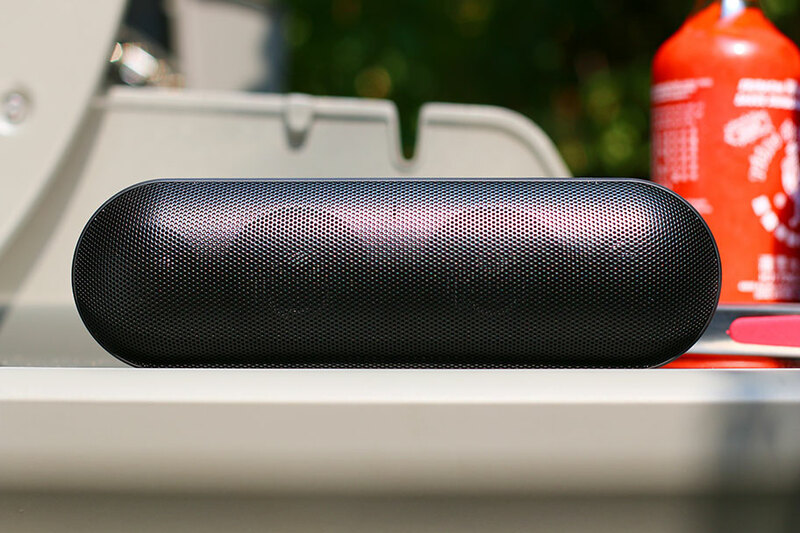 The Beats Pill+ is surprisingly well-designed and -built. The speaker manages to deliver a wide soundstage, thanks to its revamped drivers. 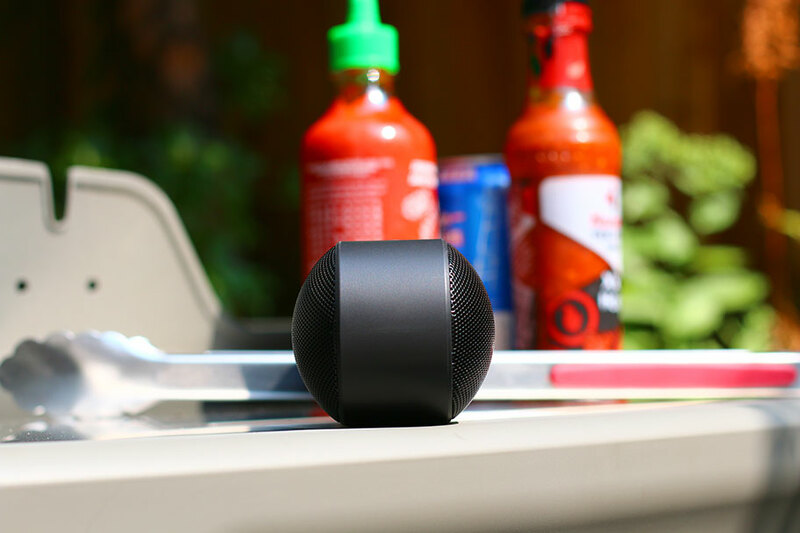 The Pill+ gets hella loud, which is great if you're in a noisy environment. The bass is middling, and gets thinner at higher volumes. It's hard to tell how water- and dust-proof the Pill+ is, thanks to a lack of specs. 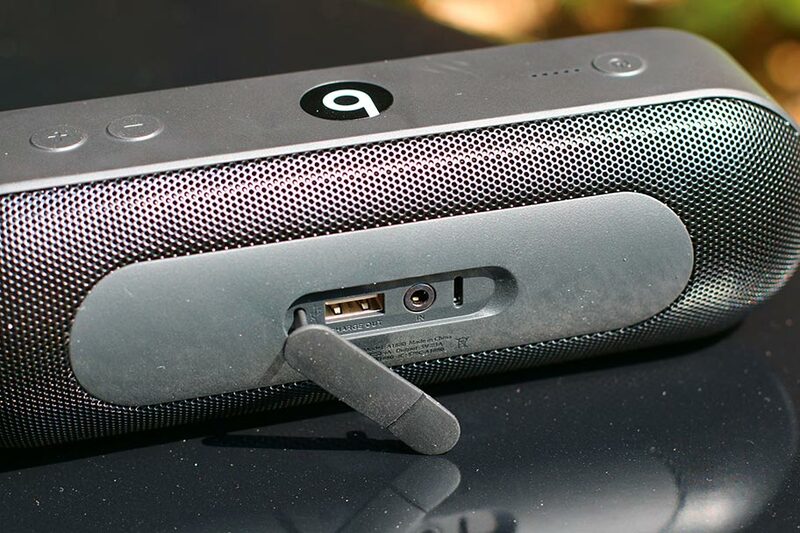 Ultimately, other Bluetooth speakers beat the Pill+ in just about every area - sound quality, price, you name it. The big problem with the Pill+ is that, while it's fine in isolation, it really struggles to compete with its competition. It can't do anything that other speakers do better. Take the UE Boom 2. It's a little old now, but it's still a phenomenally popular portable speaker, and with good reason. For one thing, it's a little cheaper than the Pill+ - $118 to $130. It also offers better waterproofing (we think – we don't have the relevant spec from Beats to compare, and we don't have the budget to drown our testing models). It has slightly better battery life, and increased Bluetooth range, and frankly, just sounds better. No, it won't get to such extreme volumes, but we've definitely never had a problem with its power. It's bass response, soundstage, and detail are all good, if unspectacular. To be honest, we can't see anybody picking the Pill+ over this. It's just a much better speaker. If you want something with a little bit more oomph behind it, why not the JBL Charge 3? It costs more than the Pill+, at $140 to $130, although you can get cheaper options depending on color. But it also delivers a much better experience, with around 17 hours of battery life and volume that is comparable to the Pill+. JBL know a hell of a lot about designing good waterproof speakers, and this one matches up with other speakers in its range, with an IPX7 water- and dust-proof rating. That's damn good. The speaker also shares a feature that the Pill+ has: the ability to connect multiple speakers. If you're in the market, you should probably pick between the JBL and the UE Boom 2, above – they are relatively similar, but do have their respective merits. The Pill+ has some too, but both of these speakers do it better. In her review, our writer Alyssa Castle summed the speaker up thus: "The JBL Charge 3 is portable, lightweight, and perfect for on-the-go listening." One thing that neither the JBL, the UE, nor the Beats speakers do is present detailed sound. They are heavy on the color, and on the excitement. If you want something a little bit more restrained and elegant, but still want to be able to take your speaker outdoors with you, may we suggest the Bose Soundlink Mini II? It's the most expensive speaker we'll talk about, at $180, but it's also one of the best. It offers sound quality that is easily among the best we've heard in this price range, and although it can't compare to the Pill+ on volume, it more than makes up for it in the detail and precision department. Be warned: it isn't waterproof, meaning you get excellent sound quality, but sacrifice durability. You'll need a waterproof carrying case if you want to take this anywhere that could potentially get a little damp. The Pill+ is a better option if you're doing that. The Pill+ is the only speaker Beats by Dre make, if you don't count the original Pill 2.0 and the now-discontinued Pill XL. Let's provide one more comparison, this time with a speaker that is significantly cheaper. 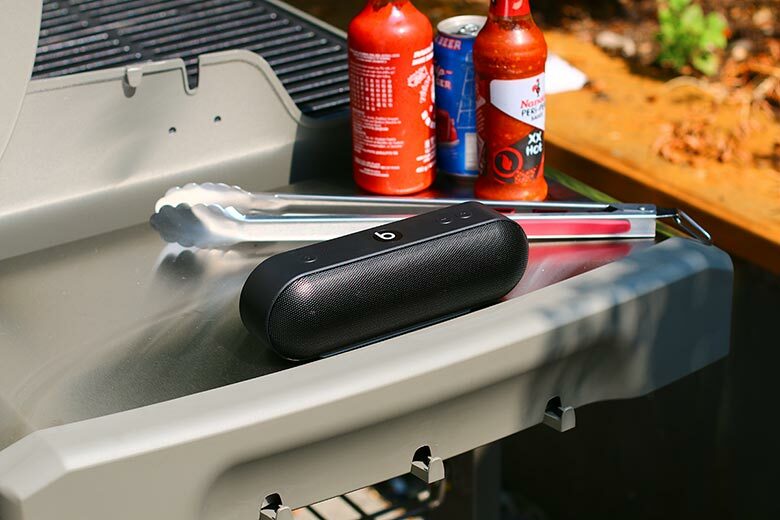 The JBL Flip 4 is a waterproof speaker that offers some unique options, including the ability to link over a hundred different JBL speakers. Just what your next barbecue needs. Even if you only require a couple of speakers, you'll enjoy this one. The sound quality isn't amazing - there's some harshness to the highs and mids, for one thing. But it does well on volume, and its light weight means it's easy to carry around. At $80, it's far cheaper than the Pill+, too. Wireless speakers aren’t just the next big thing, they’re the way of the future. Everything is wireless these days. Which is why we’re dedicating so much time to reviewing these gadgets.